Benjamin grew up in the Waikato, attending Hamilton Boys’ High School before completing his medical degree at the University of Auckland in 2000. He started his ophthalmology career in Christchurch Hospital before completing his Registrar training in Hamilton, Auckland and Tauranga. He has undergone further fellowship training in the UK, with a year in Exeter at the West of England Eye Unit doing General Ophthalmology in Paediatrics, Oculoplastics and Medical Retina; and a year as a Glaucoma Fellow in the Glaucoma Unit at the Bristol Eye Hospital. 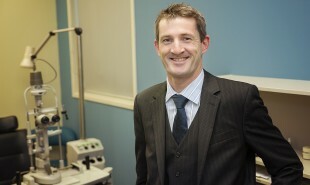 He also works in the Ophthalmology Department at the Waikato Hospital.